In most international markets, the MT series has replaced FZ-badged bikes across the board; however, in India, Yamaha have decided to keep the FZ line-up alive for our cost-conscious commuters. The MT-15 is a more premium offering, aimed at the young, image-conscious biker, who is looking to tame the urban jungle aboard an attractive steed with more than a modicum of road presence. 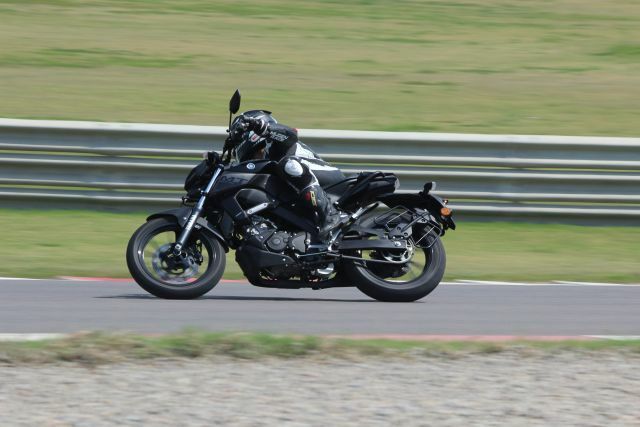 The MT-15 sold in several Southeast Asian countries is a little better-specced than what Yamaha have brought to India. The most obvious omission is the beefy, gold-finished USD fork on the international version, but considering that even the Indian-spec R15 V3.0 makes do with a standard telescopic fork, this was to be expected. The international version of the MT-15 is available in several attractive colours with neon highlights and neon wheels, while in India we get a choice of black and matt blue, no bright neon bits and the black wheels from the R15 V3.0. In our opinion, the international colourways look so much better. 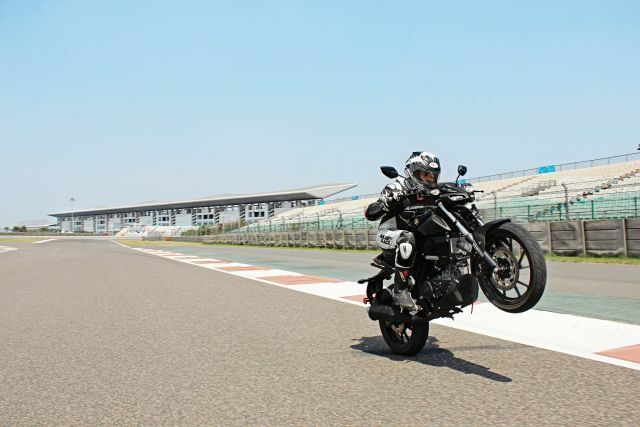 The MT-15 also doesn’t get the aluminium swingarm that we get on the R15, and makes do with a box-section unit, and although the R15 now features dual-channel ABS, the MT makes do with this indispensible safety feature at just the front wheel. 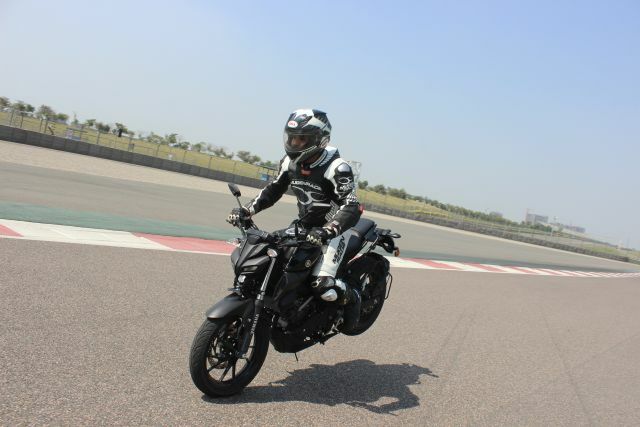 Priced at Rs 1.36 lakh (ex-showroom), the MT-15 is positioned just three grand below the R15 V3.0. At first sight this might seem fair, considering that under the skin they are practically the same motorcycle, but when you consider the lack of dual-channel ABS, the box-section swingarm and the fact that faired motorcycles still demand a considerable premium over naked bikes in our market, the MT-15 does seem a tad overpriced. With the MT-15, Yamaha have launched a stylish, well-built naked motorcycle with a punchy engine and capable handling, ideal for a rider who loves the R15 V3.0’s feel and dynamics, but could do without the sporty riding position. It is priced higher than the other entry-level streetfighters in the market, and only its aggressive looks will attract the younger crowd looking to add that extra bit of street cred to their ride.